After many years serving the Special Education community, we are sorry to say that we are no longer in the business of providing sensory stimulation equipment. 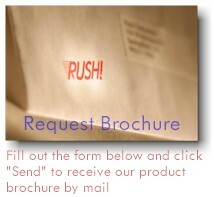 To receive a product brochure by mail, please complete the form below and click the "Send" button. We'll put a brochure in the mail to you today! For a printer-friendly brochure, click on the .pdf file below. To use the .pdf file, you'll need to download a free copy of Acrobat Reader if you don't already have one installed on your computer. Click on the interactive order form worksheet link below to calculate your order totals and shipping charges and either order from us directly, or use to support your purchase order requisition for submission to your organization's purchasing department. Click on the link to the left to view a video brochure of our products. SpecialEd Solutions, Inc. offers affordable, effective alternatives to the Little Room, also known as the Original Little Room. This site is in no way associated with Lilli Nielsen, the little room, the original little room, Dr. Lilli Nielsen's Little Room, Lilliworks, the Lilliworks Foundation, the Lilliworks Foundation of Alameda, CA, or with Lilliput North America of Casper, WY. The Little Room, a/k/a Lilli Nielsen's Little Room and the Original Little Room are registered trademarks of Lilliput North America, LLC in Casper, WY.